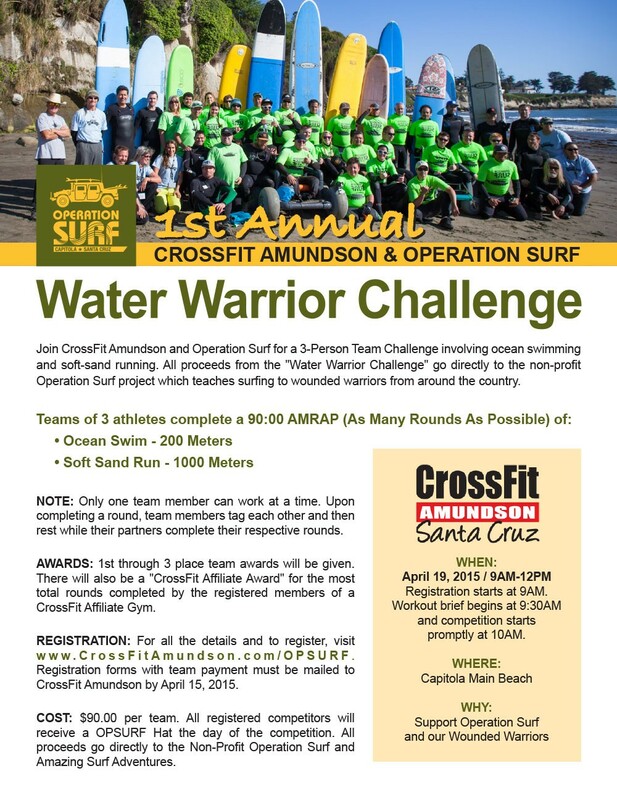 Today is the first annual CrossFit Amundson and Operation Surf Water Warrior Challenge! Please note our Headquarters gym will be closed today to support this awesome event. Brazilian Jiu Jitsu is from 11:00 AM – 12:30 PM at Krav Maga. We look forward to seeing you at Capitola Main Beach!